Wild Orchid Crafts is have a sale! Just a quickie to wish you all the most wonderful Christmas. I hope Santa is good to you! I wasn’t going to bother putting up a Christmas tree in the lounge this year, as the ones I have are monsters at 7.5 foot and upwards in the loft, and after my hubby having two joint replacements I didn’t want him lugging even the smallest of the monsters down. So, when an email landed in my inbox from Balsam Hill asking if I would like to review one of their trees I was thrilled, especially as I got a smaller tree (easier to put away once Santa is a fond memory). I had seen their adverts on the telly and had already been drooling over the selection of trees on their website, and man those trees are the bizz! Mine arrived the next day so I set to work all by myself I’ll have you know – no need for an extra pair of hands. Excuse the old towel on the carpet, the box was a bit dusty. LOVE LOVE LOVE this tree, so realistic, nice strong branches that hold heavy ornaments without drooping….. Just divine! Honestly I can’t rave about it highly enough. All tarted up with lots of handmade ornaments, mostly made from goose and duck eggs. This one is a goose egg and topped and tailed with halved duck egg, then coated in oodles of glitter. The picture is actually a silk print. Trimmed with swarovski crystal chain, flowersoft and Wild Orchid Crafts open roses. This is a goose egg, the picture is a waterslide transfer. Again trimmed with swarovski crystal chain and WOC roses. An umbrella from a goose egg (scallops were cut before decorating). Also a little duck egg, I have loads of these on the tree, some with this stripy spiral look, others that look like Christmas puddings. This goose egg I left fairly plain to show off the cut work (done with a little Dremel Drill and tiny little cutting discs). And last I tarted up a pack of these cheap snowflakes using Wild Orchid Crafts flowers and leaves in purples and greens. Love how these look on the tree. Apologies for the photo-heavy post, but I am so thrilled with the tree I just had to share. Thank you Balsam Hill for giving me the opportunity to review this awesome tree! Today the Whimsy DT members are hosting a friendship hop in honour of a special member of the Whimsy Stamps family, Simonne Clay. Simonne has been a fixture here at Whimsy for many years and we all just wanted to show our appreciation for all that she does for each of us and for sharing her amazing talent as an illustrator. She’s also my “go-to”girlie, I am always getting hop posting times and details wrong and our Simonne keeps me on the straight and narrow. And a closer look at the flower and die cut details. The flowers I used are 40mm Trellis Rose, 25mm wild rose, cherry blossoms, chrysanthemum, open roses 20mm and 15mm. Isn’t that background wall cut out die-cut just the bizz?? I dabbed it with a bit of white gesso before gluing in place, then popping the flowers on top. I chopped up bits of 4mm white pearl string trim and glued in place in-between the flowers. Love the look it gives. I finished off with a butterfly and corner from the 10 mixed metal embellishments pack after dabbing with a bit of white gesso and job done. Long time no post! This is such a busy time of the year, isn’t it?. I really don’t know what happened to the first half of December, I blinked and it was done. Anyway, one of the things that has kept me busy is that I decided to make some ornaments for the tree, and whilst out shopping for bits and bobs I picked up a Noel ornament from The Range for under £5. It looked a bit bleurgh so I decided to tart it up. I freaking love how it turned out. I decided to leave the ornament the greyish colour it was so the white would pop. I made snow using Liquitex modelling paste which I mixed with white gesso to thin the consistency a bit. Once dry I coated with white tacky glue then went crazy with glamour dust, crushed glass (Twinklets) and Cosmic Shimmer Glitter Jewels. Did I say I loved how this turned out??? That’s what I love about Wild Orchid Crafts, the colour selections in the flowers are just sublime! I’ll be back around this time tomorrow with a card. Over the next 3 days we will reveal 10 *BRAND NEW* red rubber stamps/stamp sets and 4 *BRAND NEW* die/die sets. 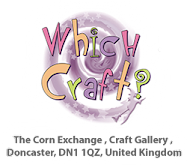 They will be available to buy from the Whimsy Stamps store and from selected Whimsy Stamps retailers on Wednesday. Today we are excited to show you the brand new Mi Ran and Wee stamps being released this month. 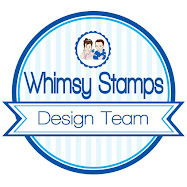 For a full reveal of these stamps, hop on over to the Whimsy blog. For my project today I have inked up Cuddly Ride by Sylvia Zet. Just too stinkin’ cute! Seam binding and flowers are from Wild Orchid Crafts: Chrysanthemum. carnation, small gardenia, open roses white bead berry spray, clear rhinestone flourishes. The paper is fairly old Bo Bunny Christmas paper. Of course, I decide NOW that I love it when I only have a sheet left …. typical! Whimsy Stamps are having a cyber sale today only, so go and fill ya boots! Hurry!! !